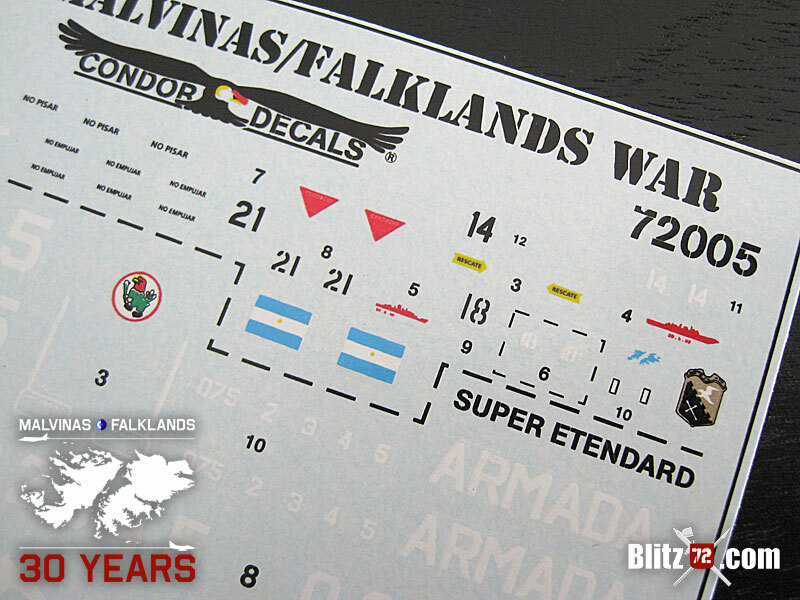 With the Falklands/Malvinas War 30th Anniversary around the corner I think it is time to revisit decal options to produce some of the airplanes used in this conflict by both Argentina and United Kingdom. Probably one of the best decals options out there, if you are into building both Argentinean and British airplanes, is Condor Decal’s Guerra de Malvinas/Falklands War series. 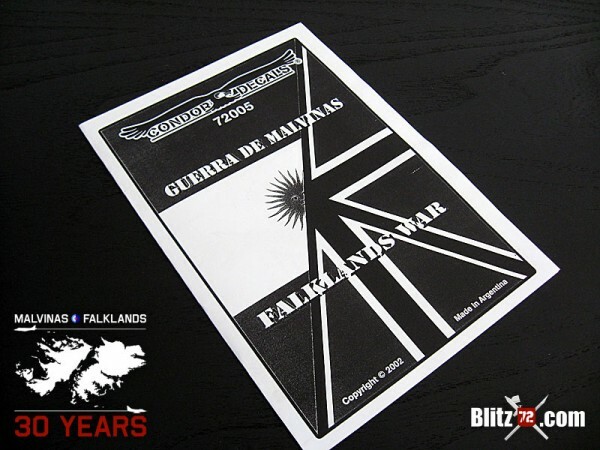 In this opportunity I’ll review the 1st part of their Guerra de Malvinas/Falklands War 72005 decal sheet. 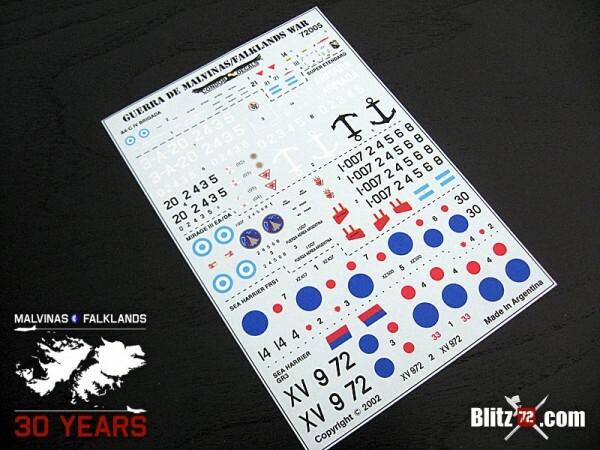 At 14 US$ this sheet is quite a bargain considering you get subjects from the Argentinean Air Force, Argentinean Navy, Royal Navy and Royal Air Force. C-314 (Bu No 149564): with an unidentified ship “kill” marking it was one of the last two A-4Cs to be retired. It soldiered on until its last operative mission on December 15th 1998, and its last flight to its current resting place at the IV Brigade in Mendoza, where it is stored in flying condition, was in March 29th 1999. 3-A-202: Took part in the attack against the HMS Sheffield (May 4th) and the HMS Invincible (May 30th). 3-A-203: Took part in the attack against the HMS Sheffield (May 4th) y Atlantic Conveyor (May 25th, 82). 3-A-205: Took part in the attack against the HMS Invincible (May 30th). A single 1 Sqn Royal Air Force Harrier GR3 serial XV-972, tail code Red 33: This aircraft arrived to theater on the Atlantic Conveyor and was the 1st RAF Harrier to cross deck to a RN carrier (HMS Hermes, on May 18th). On May 21st it left from HMS Hermes on a recce mission and was shot down over Port Howard by a Blowpipe launched by Argentinean Army Commandos (Pilot Flt Lt Jeff Glover ejected and was rescued by Argentinean troops). All in all 16 options for both sides of the conflict on a single decal sheet, not bad at all!. 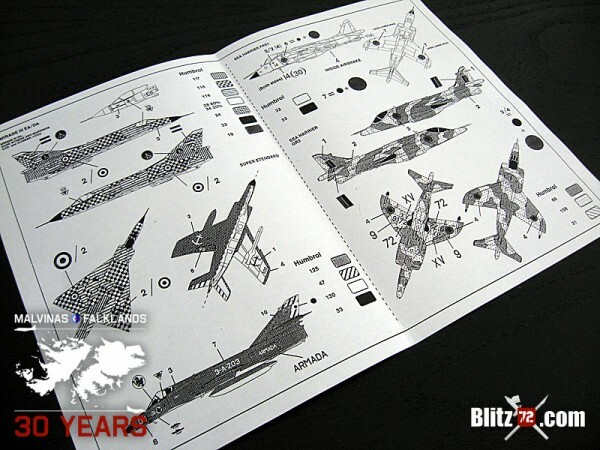 Mention worthy is the fact that the Super Etendard decals comes with the correct badge to make up for Academy’s grossly over-scale kit decals. Both the Mirage and Skyhawk decals include the proper gold coloured unit markings!. The RN Sea Harriers markings carry the proper “weirdly” proportionate roundels with the large blue and rather small red center part. This is because the airplanes were camouflaged “in route” to theater so the white portion of the Blue-white-red roundel was over-painted with blue, hence that part was wider than usual. This also explains why there are not stencils for the RN Sea Harriers, as most of those were crudely over-painted. The decals printing is crisp, with nice small detail clearly visible. 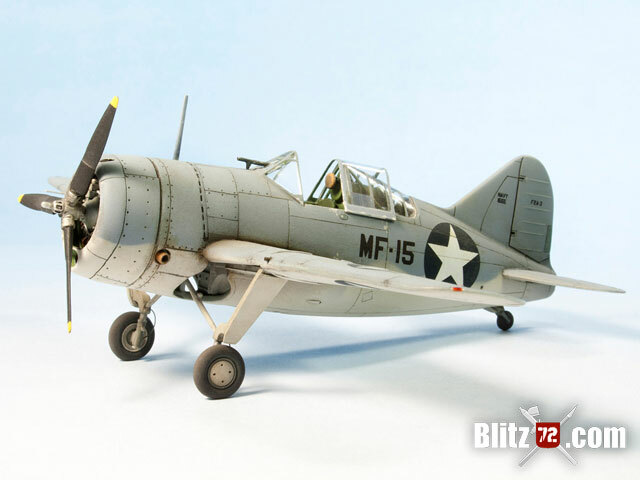 You can even make the dates below the A-4C “kill” markings. There is only a tiny bit of carrier outside the printed detail but in my experience they conform extremely well to a good gloss surface, and I didn’t even use any decal softener. Color instructions offer Humbrol numbers and match my references correctly. 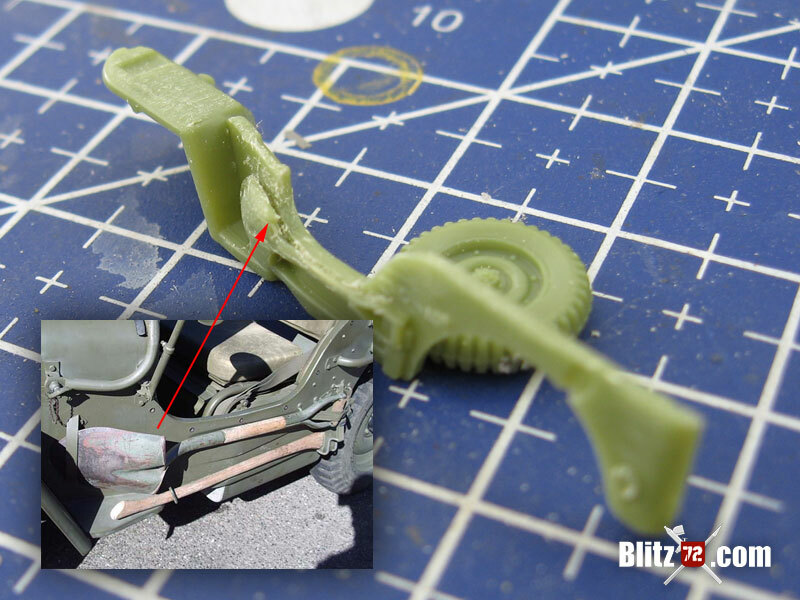 You need to resist the urge of painting the A-4C in off white/olive as that is NOT accurate for the time period. Follow the decal instructions and you will be fine (sand, light brown). You also need to keep in mind that Argentinean A-4Cs were given an overhaul parallel to the A-4E/F production line prior to delivery. Hence they were upgraded to the 5 under-wing stations. 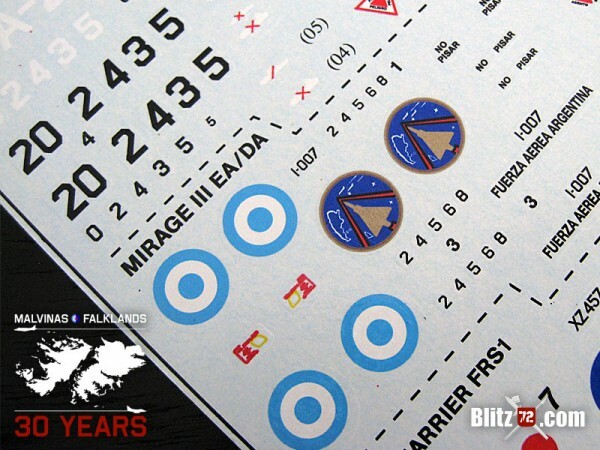 Argentinean airplanes of the Falklands/Malvinas War are some of the most difficult subjects to get right but a decal sheet produced by somebody with direct access to the proper Air Force and Navy sources is almost a guarantee for historical accuracy. 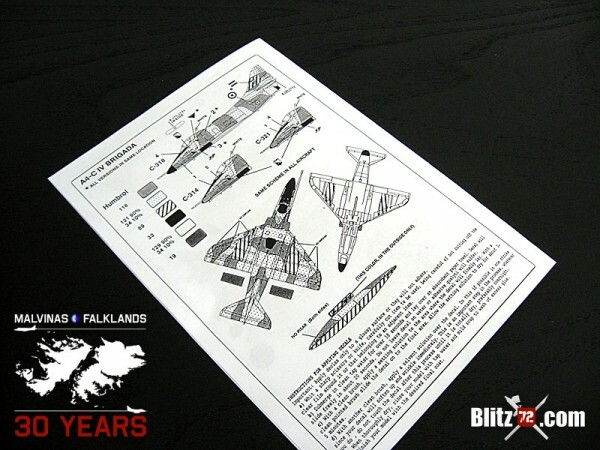 The British subjects, while well documented elsewhere, make this sheet a very complete one-stop source for the 1/72 enthusiast wanting to get the most out of his hobby budget. 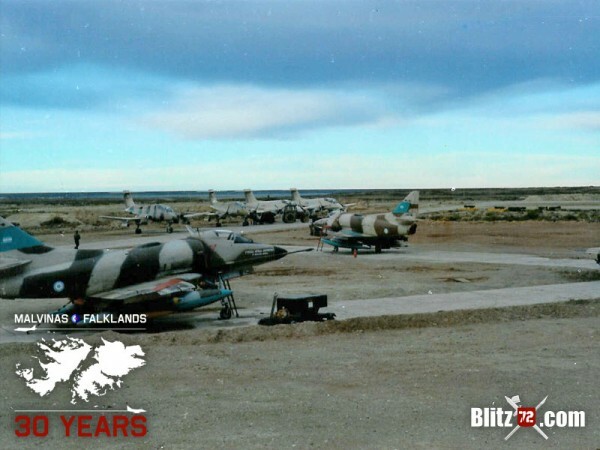 For the above mentioned I recommend this set to anybody interested in modern military airplanes and those who would like to commemorate on this 30th Anniversary of the Falkland / Malvinas War the brave pilots and crews from both Argentina and United Kingdom that offered their best to answer their own countries call of duty. Where can I buy a set of these decals? I need one ASAP for a gift for a soldier who was part of this war. man visste det var lÃ¥ng vÃ¤g till toppen. Jomjajen.ott lÃ¥ta ett glas djuprÃ¶tt Seguin sjunka in nÃ¤r tÃ¥rna Ã¤r kalla Ã¤r lyckligt. bra skrivet.